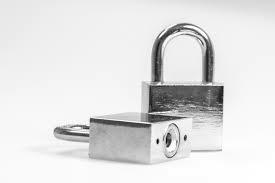 High Security Locks are an important asset to any home or business. They are defined as locks that provide “increased resistance to compromise”. This means that they are nigh impenetrable and very difficult to pick for most common thugs and vandals. Ideally, they keep your residence and/or commercial establishment safe all day and all night. While there are many locks that claim to be highly secure, only those that have been given a security rating or tested for long periods of time are considered high security locks. The main goal of these locks is not to be unbreakable (since no lock is truly lockproof) but to be too time consuming for the thief to continue trying. We at Key Man Service care about your home and businesses’ security, and want to build on efforts at increasing security around your property. We train our locksmiths to know all the different lock brands commonly found in homes and businesses. Additionally, our locksmiths understand the different types of locks and their properties. And they will be able to decipher just how well the lock will perform on different doors and appliances. Each service might prove useful in the life cycle of your high security lock, and Key Man Service can assist you every step of the way. Our technicians are helping customers every day through horrific scenarios and unorthodox situations, so they are prepared to do what is necessary to service your lock properly. 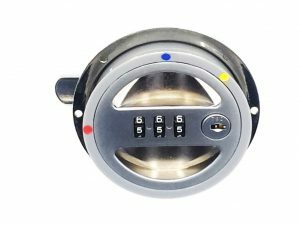 We can quickly send technicians to your location and unlock your high security lock and fix your high security lock in a matter of minutes. Just give us a call and we can give you a free estimate on what your particular job might cost require. Any of these brands will provide a strong, long-lasting lock for your home or business, so it may just come down to the cost and type of high security lock you prefer. In any case, your home or business will be significantly safer with these locks. I have the latest High Security Locks. Can you help me? Our technicians work with all the latest makes and brands of high security locks, so you never have to worry about a lack of expertise in your particular lock. My high security lock has stopped working correctly. What do I do? It depends on the particular issue with your lock. Does it not latch properly? Is the door knob loose? Does the entire lock cylinder turn? If any of these questions resonate with you, call us immediately and we will assist you. Key Man Service Santa Clarita is open 24/7 to help you decide on the best locks for your residence or business. 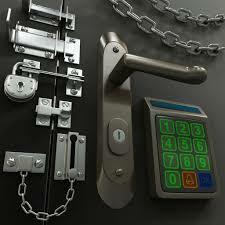 We have locksmiths all over Los Angeles who can get you the best high security lock for your particular situation. We can also help you with installation, repair and removal, as the locks need to be removed sometimes for safety reasons.